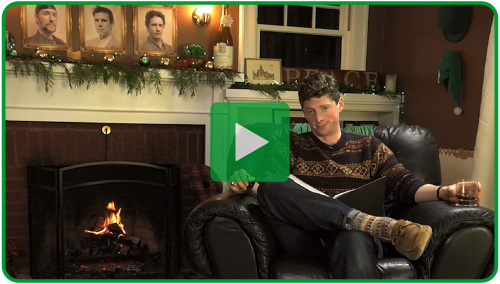 Today, Elemental presents a twist on the traditional holiday greeting. As is our custom, we express our best wishes for this season through video – our medium of choice for storytelling. We hope all viewers appreciate our story. In the spirit of the season, we invite you to enjoy this video and follow with the creation of a holiday poem of your own. When you dive into this fun-filled activity, a new take on the traditional Mad Lib, here are some helpful hints: nouns are persons, places, or things; adverbs ending in “ly are effective;” video codecs include HEVC and H.264; video resolutions such as 4K, HD or SD will work and exclamations can be anything from gadzooks! to cowabunga! Happy holidays to all and to all a good new year. Best wishes from Elemental to you and yours. Thank you, gracias, merci, danke, obrigado, ありがとう, dziekuje, sukria, 谢谢, tack, dank je! It started with a message to an Elemental sales office in Paris: “Do you have a solution that can package video-on-demand (VOD) assets?” The question was asked on behalf of MultiChoice Africa, one of the largest multi-platform pay TV operators in South Africa, which serves viewers across the Sub-Saharan continent. MultiChoice also expressed interest in expanding its services beyond live streaming and VOD to support time-shift capabilities. This question launched Elemental’s bid to incorporate Elemental Delta into the MultiChoice content delivery workflow, but not without facing some key challenges. MultiChoice required a solution that could scale efficiently, because the company intended to double the size of its content library, including movies, sports and television shows, by the end of 2015. MultiChoice also needed to implement a software-based solution that could easily integrate with existing infrastructure, as well as provide the ability to adapt to changing market conditions and customer demands. After several months of working closely with the MultiChoice DStv team, which is responsible for online digital satellite television delivery, Elemental successfully addressed all technical requirements while offering ongoing education regarding solution capabilities. The end result included the deployment of Elemental Delta into the MultiChoice workflow, alongside Elemental Live and Elemental Server, to successfully support content delivery and live-to-VOD services. Furthermore, Elemental technical support ensures that MultiChoice subscribers in Sub-Saharan Africa receive content choices and exceptional viewing experiences via direct-to-home satellite video delivery. Video is playing an increasingly significant role in business communications within the enterprise. Organizations of all types require robust solutions to deliver video content to corporate viewership; however, broadcasting to distributed audiences is a complex task. Operators in the enterprise are challenged by the need to design and build out far-reaching infrastructure that provides broadcast-quality video while scaling efficiently to service demand. Elemental and Qumu combine broadcast-reliable video processing with a market-leading video control platform, providing enhanced and simplified live streaming capabilities to enterprise customers. The Qumu Live Encoder (QLE) is powered by Elemental Live and offers video processing for real-time content delivery. Not only does the joint software-based solution satisfy corporate live streaming needs, it also delivers flexible integration options for customers that either already include Elemental encoders or want to add live video processing to an existing Qumu Video Control Center architecture. 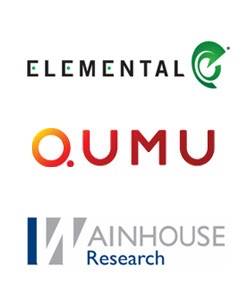 To learn more about video processing and delivery for enterprise streaming, join Elemental, Qumu and Wainhouse Research on Thursday, November 12 at 1:00 pm CST for a live webcast powered by the Qumu Live Encoder and hosted on the Qumu Cloud. Register for the webcast here.